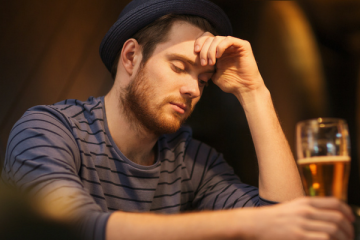 In 2015 Oxfam revealed that approximately 13 million South Africans go to bed hungry every night: a figure that amounts to more than 25% of the country’s population. In the same year, the Financial Mail reported that no less than a third of all the food produced in South Africa goes to waste, amounting to losses of roughly R60 billion. Whilst these figures also take into account the waste on farms and in the process of manufacturing, distribution and storage, a significant amount of household food waste also ends up in our landfills every day. We clearly need to do more to combat food waste and recognise its role in the face of our country’s greater socio-economic woes. This, like most things, starts at home. Knowing how to store fresh produce ensures that it gets consumed before it spoils and adds to waste. Here’s how to make sure the food you buy stays fresh for longer and doesn’t end up also wasting your money. To refrigerate, or not to refrigerate? Contrary to popular belief, it isn’t necessary to store all your seasonal fruits and vegetables in the fridge to keep them fresh. In fact, some fruits and veggies spoil sooner thanks to colder temperatures. Likewise, storing produce in airtight bags often hastens decay because it gets suffocated. 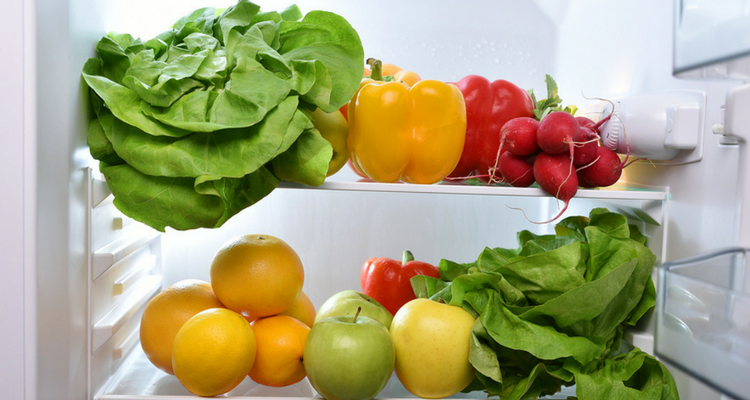 When storing produce in the fridge, avoid storing it in the compartments in the door. Temperatures tend to fluctuate there, which is why it’s better to store them in the bottom compartment or the middle of the fridge where temperatures are more constant. Beware of the banana’s ripening superpowers! Many fruits give off an odourless ripening agent called ethylene, which will cause other produce to ripen, over-ripen and rot sooner. Bananas are a big culprit here! Store them outside the fridge and away from other fruits and vegetables. Tie plastic wrap to the crown of your banana bunch to make them last longer. If you want to ripen them quickly, store them in a closed brown paper bag and let the ethylene work its magic. Apples and other non-cherry stone fruits like pears, mangos and melons will continue to ripen when stored at room temperature. Once they’re ripe, all these fruits will keep about 4 to 5 days in the fridge. Store avocados and tomatoes outside the fridge, too, as they also fall into this class. Tomatoes should be kept away from sunlight. Stop cut apples and avocados from turning brown in the fridge by spraying them with a little lemon juice. Remember to keep fruits and vegetables separated in the fridge (to avoid over-ripening as a result of that pesky ethylene!) and to pack them loosely – the closer they are stored together, the quicker they will spoil. 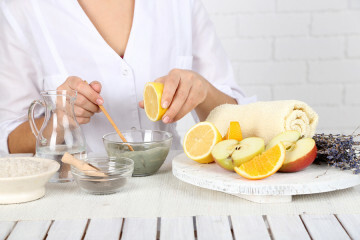 Washing fruits and greens with a mixture of 10 parts water and 1 part white vinegar will get rid of any dirt or pesticides and will prevent mold from forming and making them go bad faster. We stumbled across a rather unconventional, but seemingly effective way of making your greens last longer. Cut your lettuce into bite-sized pieces and wash them with water and vinegar. Shake off the excess water and let them air dry on a clean bath towel for a few hours. When they’re dry, roll the towel up with the greens still inside, tie both ends with rubber bands and store in the fridge. Unroll the towel and use as much of the lettuce and greens as you need each night, and roll up and store them again. The towels keep the greens moist and crisp and lasting longer. 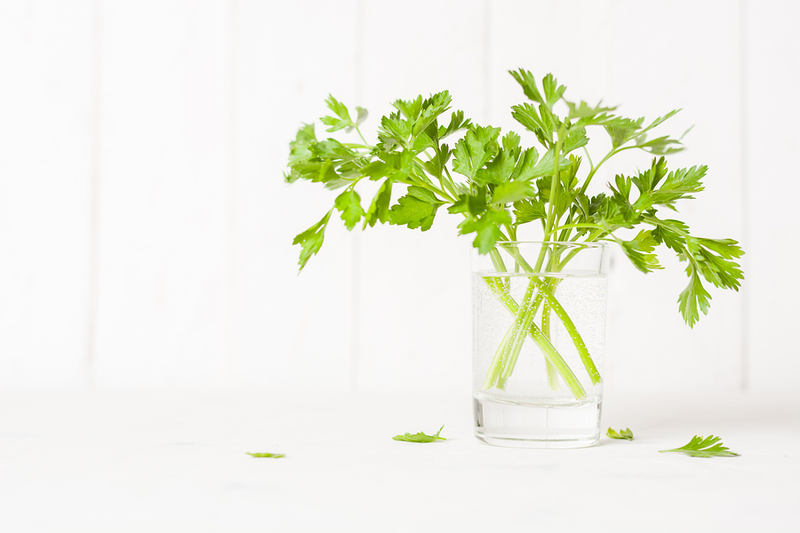 Fresh herbs and leafy greens can be placed in a vase with water like you’d do with a bouquet of flowers. They’ll last longer and beautify your kitchen. Putting greens in a vase keeps them fresh and brightens up your kitchen. Potatoes and onions aren’t bedfellows. Storing them together will lead to the potatoes spoiling faster. Don’t hesitate to store potatoes and apples together, though. Potatoes should be stored in a dark, cool environment outside the fridge. Storing them in a brown paper bag will also help them to keep for longer. Onions can be stored for up to 8 months if you use this unusual method: put the onions in a pair of pantyhose, separating them from each other by tying knots between each one, and let them hang from the ceiling. Garlic should also be stored in a cool, dark place outside the fridge. Mushrooms shouldn’t be washed before storing, but rather just before using them. Store mushrooms in a brown paper bag in the fridge to make them last longer. Plastic and glass containers will trap moisture and make them go slimy very quickly. Storing carrots in a covered container filled with water will dramatically increase their shelf life. There is a never-ending debate over storing eggs in the fridge or outside. This seems to be a matter of preference, as there is no evidence that either storage method really affects how long they last. There is consensus, though, that storing them in the door of the fridge thins the whites because of the constant shaking, and allows the flavours from other foods to penetrate the shells. Store eggs in a sealed container in the middle or bottom of the fridge to keep them fresh. 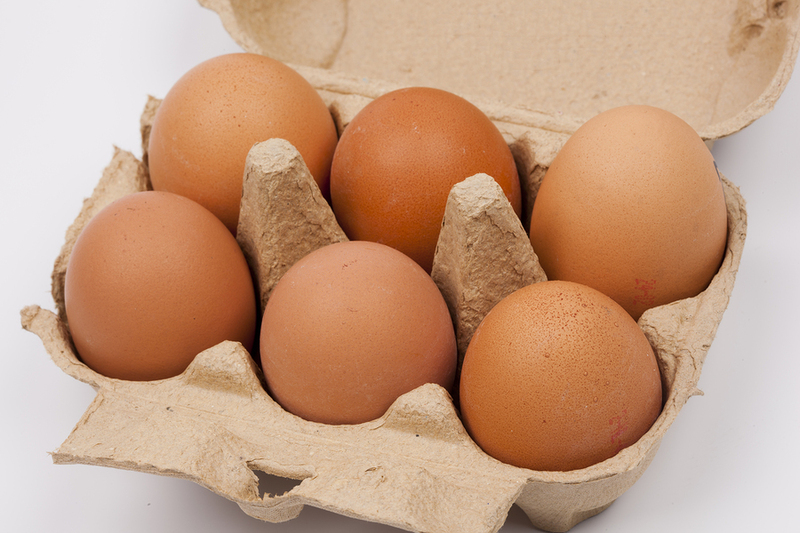 Keep your eggs fresh by storing them in a sealed container in the fridge. Ultimately, cutting down on food waste goes hand in hand with proper meal planning and responsible shopping. Sticking to your shopping list and planning meals in advance will ensure you use all your produce before it has even started going bad. Always keep an eye on what’s going on with your produce, and throw out items that are starting to mould immediately, as the saying “one rotten apple spoils the whole barrel” rings very true, and a barrel of rotten produce really is an unnecessary waste.